Cult of Luna have always been known for creating intelligent, abrasive and engaging music and at this point in their career, nothing less than this is expected with each release. Album number six- Vertikal, continues to challenge both listener and band, this time armed with a concept heavily based on Fritz Lang’s 1927 film Metropolis, featuring themes of machinery, repetition and clear, linear structures. The opening instrumental intro track “The One” certainly exemplifies this concept. The song itself could easily lend itself to the soundtrack for the ‘Terminator’ movie. It is jam packed with eerie sound effects and has a very apocalyptic feel that leads itself cleverly into one of the standout tracks of the album ‘I: The Weapon’. Vertikal is altogether a completely different beast to that of the brilliant, yet heavier previous album ‘Eternal Kingdom’ although ‘I: The Weapon’ is one of the few tracks on the album that does carry the distinct sound over from this album. The track itself is equal parts powerful and abrasive, yet it also has a certain dark beauty to it, especially towards the tail end of the track and certainly carries all of the attributes that have made Cult of Luna a power house within the genre. The nearly 19 minute long epic “Vicarious Redemption”, begins with a rather extended intro that continues down the path lead by the opening intro track, with eerie sound effects that slowly build and climax around the 7 minute mark. The song has it all, even including a dubstep styled bass line that further illustrates the machine like themes present throughout and oddly enough doesn’t sound out of place at all, an achievement in itself. ‘Synchronicity’, is another heavily mechanical influenced track is also another clear highlight on the album. The clever and inventive drum beats are almost enough to like this track on their own merit alone. Rarely can it be said that a concept based album has succeeded in all fronts from structure to execution. Vertikal however, is one of these rare albums and I would struggle to think of a better structured album in recent memory, not just in terms of song arrangement, but in concept as well. 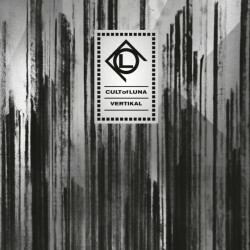 Vertikal is both a challenging yet rewarding listen, it is the kind of album that is densely packed with many layers both technical and thought provoking in nature, which seem to unravel themselves more and more over repeated listens. It is also perhaps not an album for everyone either, but give it a chance and at the very least you’ll amazed by the quality of musicianship on offer and the pioneering sound this Swedish collective brings to the table.